With this pact, Pondicherry University becomes the first Indian partner of UPEC, France. For research and academic collaboration, a Memorandum of Understanding (MoU) has been signed between Pondicherry University (PU) and the Université Paris-Est Créteil (UPEC), France on December 14. With this pact, Pondicherry University becomes the first Indian partner of UPEC and this deal will facilitate student exchange, faculty exchange and jointly organized events and research initiatives. 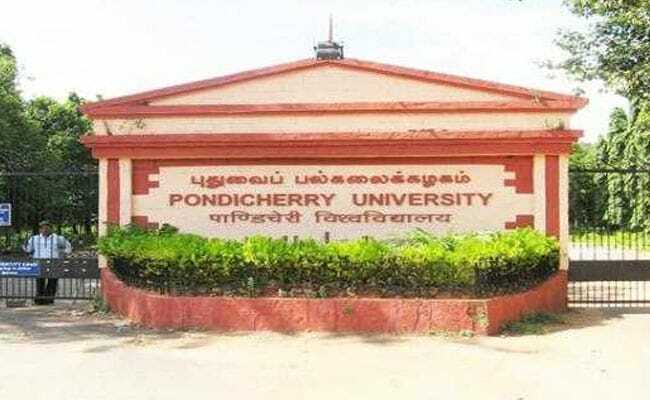 'PU-UPEC cooperation will further enhance the long-standing relationship between Pondicherry and France,' said Professor Gurmeet Singh, Vice Chancellor Pondicherry University. He highlighted the role of international cooperation in building a globally competent academic and research set-up in Pondicherry University. Dr. Laurent Thevenet, Vice President for International Affairs, highlighted that UPEC is one of the most comprehensive and inclusive universities in France, with an annual enrollment of about 30,000 students, including 3,000 international students. The MOU signing ceremony was attended by Professor Balakrishnan, Director of Studies, Educational Innovations and Rural Reconstruction, Professor Rajeev Jain, Director of Culture & Cultural Relations, Education, Dr. Sasikanta Dash, Registrar who signed the MOU on behalf of Pondicherry University, Mr. A.K.Prakash, Finance Officer, Sri K. Mahesh, PRO and Professors from Management, Science and Technology domains. The visiting 8-member delegation from France was led by Dr. Laurent Thevenet, and Ms.Joanna Belo, Director - International Affairs, and professors from the Faculties of Economics and Management, Science and Technology.